Thyroid cancer is any malignant growth or tumor in the thyroid, caused by abnormal and uncontrollable cell division. Cancer is still a disease whose cure eludes scientists and researchers. The tumor may have been developed by an abnormal cell division, but there is still limited knowledge as to why these cells go crazy in the first place. The thyroid is a butterfly-shaped gland found in the throat, and its purpose is for making hormones and regulating your body’s energy usage. It has been seen that those who have had a history of radiation treatment have a greater chance of getting this type of cancer, although genetic disposition and age also play a role in it. The most common of all symptoms is a lump in, or swelling of, the neck. Frequent cough that has no relation to a cold. 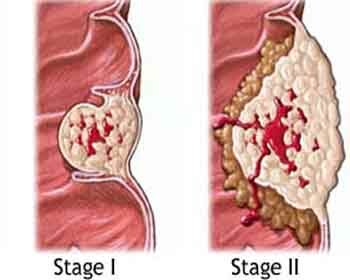 It is because of these numerous symptoms that this type of cancer is usually caught earlier on in its development. The diagnosis is done when one has a lump in his or her throat. The doctor will get part or the whole of the thyroid, which he will do a biopsy on. Usually, only a small portion of the thyroid is needed; but if the results are unclear, this is when the doctor may have to surgically extract a bigger piece. Fortunately, thyroid cancer is very rare and is very treatable. The usual treatments are surgery, wherein the doctor will remove your thyroid; and the use of radioactive iodine, which is a type of radioactive therapy that will kill the cancer cells that may have been left behind in your throat, even after the removal of the thyroid. It is very seldom that chemotherapy is needed to treat thyroid cancer. Thyroid cancer has different classifications based on their histopathological characteristics. As was mentioned before, age also plays a part in the development of thyroid cancer. As much as 75% of the population with develop a thyroid nodule, which is the thyroid tumor, but most of them will be benign. Thyroid nodules are common in younger people, but 90% of people will have at least one nodule by the time they reach 80 years of age. If you discover that you have thyroid cancer, then it is imperative that you talk to your doctor at once. Even though it is treatable, it is still cancer. Also, it is easier to treat the earlier on in its development. If you are a survivor of this type of cancer, it would be good for you to seek out other survivors and make contact with them, either through online forums or support groups. Cancer should never be taken lightly, no matter how curable it is, and it is best that you talk to other people about it, in case there is some emotional trauma that you may not realize are there.